Are You Planning A Gorilla Safari Trek To Volcanoes? Scroll Down.. 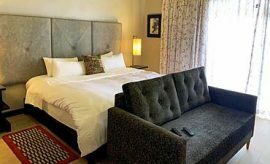 In the heart of the mighty African continent is a distinctive, natural utopia shared by three countries: Rwanda, the Democratic Republic of Congo, and Uganda. Each nation has placed its part of this region under preservation by creating wilderness parks. 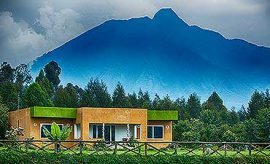 In Rwanda, this kaleidoscope of natural beauty is protected as Volcanoes National Park, or Parc National des Volcans, a 160-square-kilometer reserve that includes evergreen and bamboo forest, tropical rainforest and partial grasslands, valleys, serene lakes, craggy volcanoes, and farmed foothills. If you have the opportunity to trek through the park during your adventure vacation in Rwanda, you will see evidence of the strong volcanic activity in ages past, which left behind eight volcanic peaks, five of which lie within the borders of the country on the northwest. The mountains, covered with lush forests, tower up to 15,000 feet and are inhabited by rare primates and other creatures, including more than 178 species of birds. The rainforests on their slopes are home to the endangered mountain gorillas, which often travel between the three countries in the quest for eatables. Gorillas are known to feed mainly on soft bamboo shoots, wild celery, stinging nettles, and wild fruit. Like-minded tourists who hope to see these rare primates in their native habitat can explore this tranquil, Eden-like world by following the many trails that wind through Volcanoes Park. 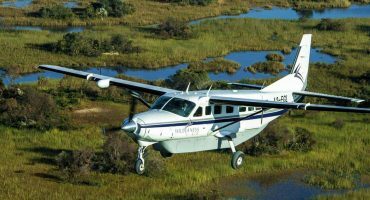 Each of the trails allows you to experience a different facet of the forest reserve. 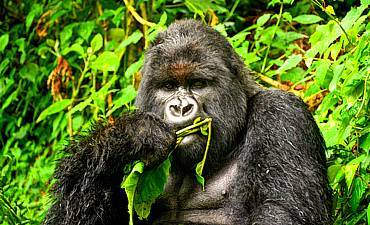 With a permit and the help of an expert tracker, hike to meet one of the famed gorilla families and spend time watching them as they forage for food or groom one another. Our guests talk about the exhilaration of crouching close to these magnificent apes, which sometimes ignore human guests completely and, at other times, look at them with as much curiosity as the humans gazing back. The head of each family is typically an alpha male, called a silverback, who stands at a height of up to six feet. It is amazing to see how gentle these giants can be with the little babies that sometimes wander too far from the adults. Another of the fascinating primates found in the park is the elusive golden monkey. Pick the trail to the bamboo forests and you may be able to spot these beautiful arboreals. 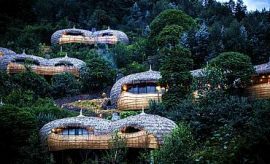 As you wander through this Rwandan forest, you will feel like you have entered into a mystical, serene realm where the silence is broken only by the chattering of monkeys, calls of birds, chirping of insects, and rustling of the leaves. In some places the foliage is lit up by the brilliant colors of the birds, flowers, and butterflies flitting through the forest. Marvel at the diversity of flora or look out for smaller fauna like duikers, bushbuck, and other herbivores. Among the predators, you might chance to spot a rare hyena or two. You may choose to spend a part of your trip on treks to the pristine lakes of Karago, Ruhondo, and Burere, whose breathtaking beauty will leave you transfixed. 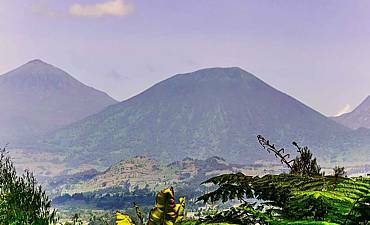 Of the five volcanic peaks in Rwanda, Mount Karisimbi, which stands at a lofty 4507 meters, is the tallest. Scaling this mountain rewards you with sweeping panoramas of the lush canopy of treetops. End your primate holiday in Rwanda with a pilgrimage to the grave of Dian Fossey, who dedicated her life to protecting the mountain gorillas of Rwanda before her untimely death here in 1985. Trekking to meet the mountain gorillas of Rwanda in Volcanoes National Park in is a completely thrilling adventure. It begins with an exploratory hike through the forests to view their stunning beauty, with a plethora of birds, small animals, insects, and unusual flora to observe along the way. The day begins with early arrival at the park headquarters. Here you will spend time with your guides, understanding the protocols and basic dos and don’ts of meeting the gorillas. As park authorities check your permit and passport to verify your identity, you will have time for a cup of tea or coffee. Traditional Rwandan dancers from the Iby'Iwacu Village present cultural performances to holidaymakers as they wait for the primate-viewing trek to begin. After the performances, guests are divided into groups of 8 and each group is informed about the gorilla family they will be tracking that day. Since the park hosts 10 habituated gorilla families, a maximum of 80 guests are allowed per day. Make sure you have the necessary clothing and equipment, including sturdy hiking boots, full-length pants, a long-sleeved shirt, rainproof jacket, thick gloves, a walking pole, a snack, and drinking water. Trekking in Volcanoes National Park is an exhilarating experience. 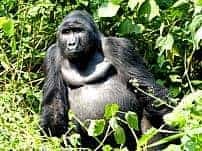 As you hike along the trail to locate your assigned gorilla family, you will be regaled with the songs of the 178 species of birdlife that inhabit the park (read more on birding in Rwanda). You can also view colorful butterflies, small insects, and animals that dart about in the bush. Gorillas, being wild, are unpredictable; since they can wander to the higher slopes when looking for food, it may take you longer to meet them than predicted. At other times they may roam closer to your trail, allowing you to stumble upon them sooner than expected. Before you leave for your trek, experienced trackers scout the area ahead to get an estimate of the family’s location. They inform the tour guides, so it is easier for you to find them. Aside from the experienced Rwandan guide accompanying you, you will have two scouts who carry guns for your group’s protection. One of them leads the way, while the other brings up the rear. Their presence is necessary in case you run into a frightened gorilla that may display aggressive behaviors or attack. The scouts are well trained in the behavior of the animals and, in case you encounter trouble, they will assist you in getting away from the situation. Quite often, standing still and looking away is enough for the gorilla to lose interest in you. If necessary, the scouts might fire into the air to scare the primate or any other animal away. You can rest assured knowing that there have never been any untoward incidents in the park, and running across potentially dangerous animals such as forest elephants or buffaloes is an extremely rare occurrence. The time it takes for your group to find the mountain gorilla family can depend on many factors, aside from their location. For instance, sometimes the terrain could be muddy and steep and the route might take more than 4 hours to navigate. You may also have to pull yourself up by holding on to tree roots, branches, or plants and bushes. Of course, your guides will be there to assist you. Some terrains are relatively easy to travel and you might find your gorilla family after an hour or less of easy hiking. Having a walking pole can be helpful, and having a sufficient supply of drinking water is absolutely essential. Carrying a snack is also advisable, since it’s difficult to know how long the trek will take. Every moment of the hike is rewarding; you are likely to be rewarded with vistas of the breathtaking beauty of the forest and, sometimes, the volcanic peaks of the park. At times, the dim light filtering through the dense bush gives the impression of a mystical, magical world. There are no set trails and your guide might opt to create a new one for you by using his machete to hack away the vegetation, which grows back in no time. As you come to the end of your search and finally encounter the gorillas, you will no doubt feel that every step was well worth it. The experience of spending time with these fascinating creatures is life-changing. You are likely to come away from your mountain gorilla trek in Rwanda vowing to do more to support and protect the wildlife that calls our beautiful Earth home. After some exciting travel through the forests of Volcanoes National Park, finally meeting the gorillas is a moving experience. By now, your tour guides will have provided an introduction to the family you are going to meet and you might have a good idea of who the different individuals are. You will be crouching about 23 feet from these beautiful primates. If needed, your guide will clear away some vegetation so you can see them more clearly. Take care to keep your voice down and not make any sudden movements; any unexpected actions can scare the gorillas away or make them feel threatened enough to attack you in self-defense. Before you take pictures, remember to turn off the flash and the clicking sounds of the camera. The lush beauty of the park and its magnificent denizens are good subjects for photography, and you’ll find yourself taking many shots as mementos. While you watch the gorillas, take care not to look them straight in the eye, as this can be perceived as a challenge in gorilla etiquette. If a gorilla does charge towards you, avoid the instinct to run. Instead, it’s best just to stay still and look down at the forest floor. Bowing your head is a sign of submission and conveys the message that you do not want to fight. You are allowed only one hour with the mountain gorillas, so once your group has found them, make the most of it. Enjoy watching them munch on their favorite foods of wild celery and jungle fruits. They also love tender bamboo shoots, stinging nettles, and other wild foods. You may catch them napping or perhaps get to watch the antics of the babies as they clamber over their parents and play with one another. Some gorillas may be spotted climbing trees while others simply rest on the ground. Grooming is another favorite pastime and, in the gorilla world, grooming each other helps establish close bonds. The family’s activities are closely supervised by the alpha male silverback, who may get up from time to time and move around to assert his dominance over the territory. You will be amazed to see how graceful he is and to note his gentleness, despite his size. Your guide will explain that adult male Rwandan mountain gorillas can reach up to 6 feet in height and weigh over 200 pounds. Once your allotted hour is up, you must head back to the park headquarters for transfer to your accommodation. Regulations mandate that you must leave the park by 7 p.m., but you’ll head back to your accommodation after your fantastic trek holiday expedition with a lifetime of cherished memories. The mountain gorillas of Rwanda are an incredibly unique and beautiful species of primate. Animal lovers interested in touring to see the gorillas in the wild will no doubt want to support the government's efforts to protect and preserve them for centuries to come. For this reason,we recommend that you carefully follow the protocols and instructions authorities have set out for guests. The Rwandan Development Board, or RDB, has made it mandatory for viewers to remain at least 7 meters, or 23 feet, from gorilla families. If a gorilla approaches you, it is essential that you slowly move away from them. Although gorillas share 98% of their DNA with humans, their immune systems are not developed to cope well with human diseases. They are likely to suffer fatal consequences from diseases that infect humans, especially respiratory illnesses. With this in mind, the Rwandan government requests that tourists who are sick with a cold, the flu, or any other infectious disease refrain from visiting the gorillas. Should you feel the need to cough during your visit, cover your mouth and cough away from the gorillas. Travelers must also take care not to spit or litter in the park. Eating and drinking strictly prohibited while in the presence of the gorillas. The Rwandan government issues 80 trekking permits each day and vacationers hoping to see the primates are divided into groups of 8, each visiting one of the 10 mountain gorilla families. You must be over 15 years old to visit the primates. Each group is assigned a gorilla family that its members can visit that day, and you will be spending one precious hour in their company. Take care to remain calm and keep your voice low. You must also be careful not to make any sudden movements that might scare the gorillas. Do keep in mind that although these rare residents of Volcanoes National Park are used to the presence of humans, they are wild and sometimes display unexpected behavior. The expert guides accompanying you are trained to manage such situations, including a gorilla bounding towards you or making threatening sounds. You only need to follow your guide's instructions and you will be able to safely enjoy your trip to visit these magnificent gorillas. 2. How Are Gorilla Permit Holders Assigned At Volcanoes National Park? When you arrive at the main headquarters of Volcanoes National Park for your trek, you will join your 8-member group. Guests are divided into groups depending on their fitness level and age. If you have any physical limitations, do inform the park officials so they can plan your trek accordingly. You can also inform them if you would like to track a particular family, so that you will be permitted to join the group headed to see them. If you feel you need assistance to carry any photographic equipment or other gear you have with you, you can hire the services of a porter for the duration of your gorilla hike. Guests who are older than 45 years of age are typically assigned gorilla families that inhabit closer sections of the park and may be easier to track. Younger and fitter guests might be assigned more adventurous trails. Do keep in mind, however, that the mountain gorillas of Rwanda are unpredictable and can wander far into the forests of the park when foraging for food. At times they may move closer to you, and you might even find them earlier than expected. This is why trackers can only estimate the time it might take to locate the family you have been assigned to. Visitors often enjoy the adventure and thrill of not knowing how far their target group is and then coming upon them suddenly. The Rwandan government issues just 80 permits to visit the gorillas each day. 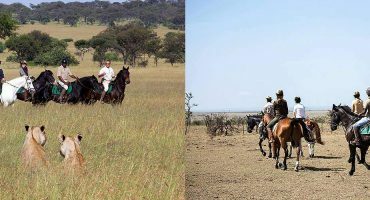 Given the number of visitors to the reserve and the popularity of the trek to see them, it is advisable that start working with your AfricanMecca Safaris consultant well in advance of your travel so that they can purchase the permits for your chosen trekking days. 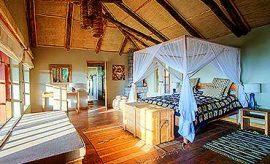 The permits are purchased on your behalf from the Rwandan Development Board, or RDB, and this service is included in the safari package you book with us. Each gorilla permit in Rwanda currently costs USD $1500 per person (2017), though this figure can change over time with or without notice. Volcanoes National Park has just 10 habituated gorilla families. For their protection, each family will have only one group of 8 vacationers visiting them per day, and for only an hour. This means that only 80 visitors are allowed to go gorilla trekking per day. To get your permit you must comply with certain conditions: You must be over 15 years of age and in perfect physical health, with no infections of any kind. You will be required to arrive at the park headquarters at 7 a.m., where you will be advised on the protocols to follow on your adventure. Trekking begins by 8:30 a.m., and you need to be back at base camp by late afternoon or early evening before it gets dark. 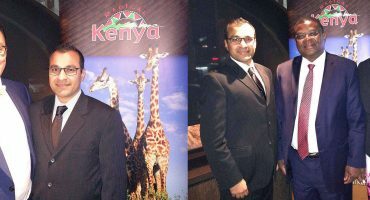 It’s important to provide passport details and other information accurately to AfricanMecca Safaris, as this information is needed to request the permit on your behalf. 4. 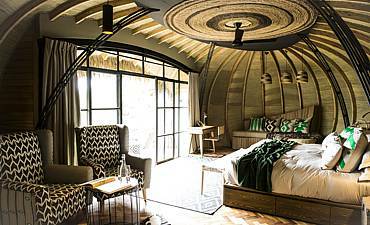 How Fit Do You Need To Be On Your Rwanda Gorilla Safari? You don’t need to be a highly experienced trekker or sportsperson to follow the trails in Volcanoes National Park. Any person with a reasonable fitness level can navigate the paths. As you plan your gorilla-viewing vacation in the reserve, however, you may find it helpful to work at conditioning your body and building up some stamina. In their search for food and safety, gorillas tend to roam the higher slopes of their chosen territory. It can take anywhere from an hour to more than four hours of walking to find them. Having the stamina to walk long distances will help you and ensure you are not too tired to enjoy your time with them. While some of the terrain is flat and you might find your gorilla family in just a short while, other trails can have steep, challenging sections. 5. What Trek Equipment & Items Should You Carry On Your Gorilla Safari In Rwanda? When touring through the forests of Volcanoes National Park, it is advisable to have the necessary clothes and accessories to keep you comfortable on your hike. You will need a sturdy, broken-in pair of hiking boots designed for trekking on the rough terrain, which can be steep and muddy in places. Make sure you have heavy-duty outdoor gloves to protect your hands from prickly wine or shrub and other spiked vegetation on the trail. As your travel consultant at AfricanMecca Safaris will advise, you must wear long trousers to cover your legs and bring a waterproof jacket in case of a shower. Although you are not allowed to eat or drink in the presence of Rwanda’s mountain gorillas, it’s important to bring along a snack and drinking water, especially in case the hike takes longer than expected. Carry some cash so you can hire the services of a porter. You may need help with carrying your equipment or navigating some sections of the rough track. Since the porters are extremely knowledgeable about the trails and the residents you will be meeting, you will be able to ask questions and gain some in-depth, interesting local information along the way. Also bring along a camera, binoculars, and a sturdy walking pole. Taking photographs is perhaps the best way to remember the exciting moments of your primate-viewing holiday and the time spent in the company of the mountain gorillas of Rwanda. Whether you are a professional or an enthusiastic amateur photographer, the unimaginable beauty of the reserve and its many fascinating residents are ideal subjects to capture. However, you will need to have the proper waterproof gear to keep your equipment protected from possible rain. Bear in mind that using your flash is not allowed to avoid disturbing or frightening the primate fauna. Lighting conditions in the gorillas’ forest habitat can be dim, so make sure you are well versed with the appropriate ISO settings and have high-quality lenses to get the best shot. 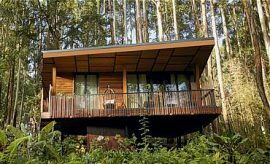 Volcanoes has varied accommodations, from the forest luxuries of Bisate Lodge, Sabyinyo Silverback Lodge to One&Only Gorilla's Nest Lodge. 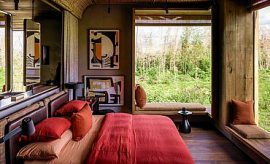 The deluxe option is Virunga Lodge to the modest Le Bambou Gorilla Lodge. The primary activity at Volcanoes Park is gorilla trekking. Other tours are golden monkey treks, Dian Fossey Grave Shrine and Iby'Iwacu Cultural Village Tours, Mount Karisimbi or Mount Bisoke hikes etc. Many guests who visit Volcanoes National Park to experience gorilla primate trekking pick the drier months, since trails are less muddy and there is less likelihood of getting drenched by an impromptu shower. 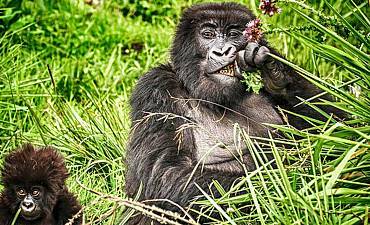 Should you plan a gorilla viewing expedition to Volcanoes National Park, you will learn that the park has ten resident gorilla families that are habituated to the presence of humans. When visiting Volcanoes Park for your gorilla safari trek, we recommend combining it it with Akagera, Nyungwe and a city tour of Kigali. 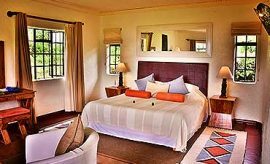 You may optionally extend out to other wilderness areas of Gishwati-Mukura ending with a beach vacation at Lake Kivu or even extending out to the exotic spice island of Zanzibar or Lamu, or even Mombasa. ARE YOU PLANNING AN AFRICAN SAFARI TO VOLCANOES IN RWANDA? HAVE YOU VISITED VOLCANOES FOR AN AFRICA SAFARI IN RWANDA?